We begin with fresh, Caribbean-sourced ingredients for dishes that are flavorful, healthy and light. 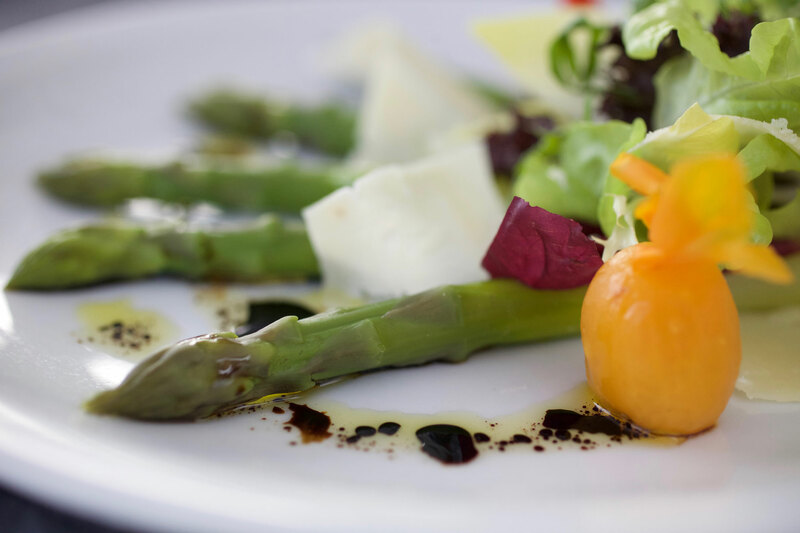 Our team of chefs combines training in classical French cuisine with a deep respect for Maya’s established repertoire of dishes and her emphasis on freshness. The day’s catch determines whether the menu includes grilled filet of mahi-mahi or wahoo ceviche in coconut and lime. 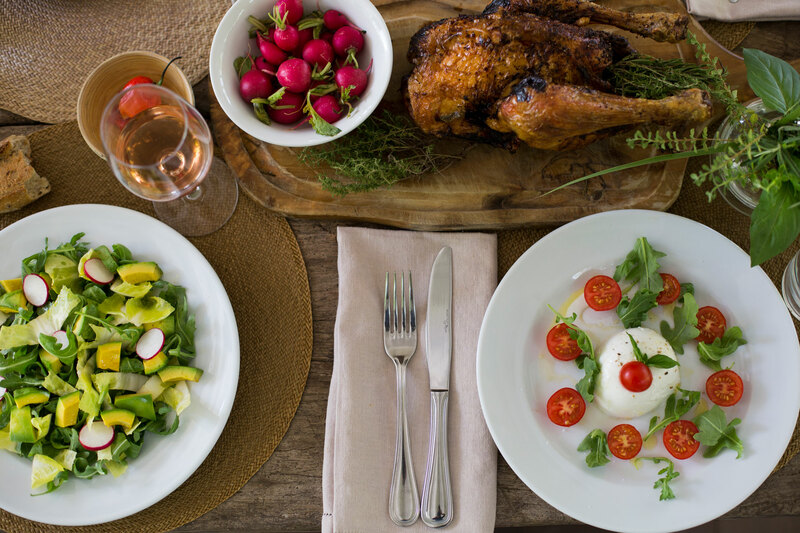 Fresh ingredients sourced from the Antilles or flown in from France are spotlighted in season, so you’ll find Brussels sprouts in January but Asparagus in June. No matter when you stop in during the day, you’ll see our chefs at work preparing dishes to be served up immediately, not set aside for tomorrow. We bake our bread overnight and squeeze our fresh juices every morning because the key to Maya’s culinary philosophy is freshness. See what’s on the menu at Maya’s To Go, from smoked salmon on brioche for breakfast to Maya’s famous flourless chocolate cake for dessert. What you’ll find on our daily menu always depends on what we find fresh at the market. No matter what time of day, stop in and get tempted by Maya’s selection of homemade desserts and pastries. 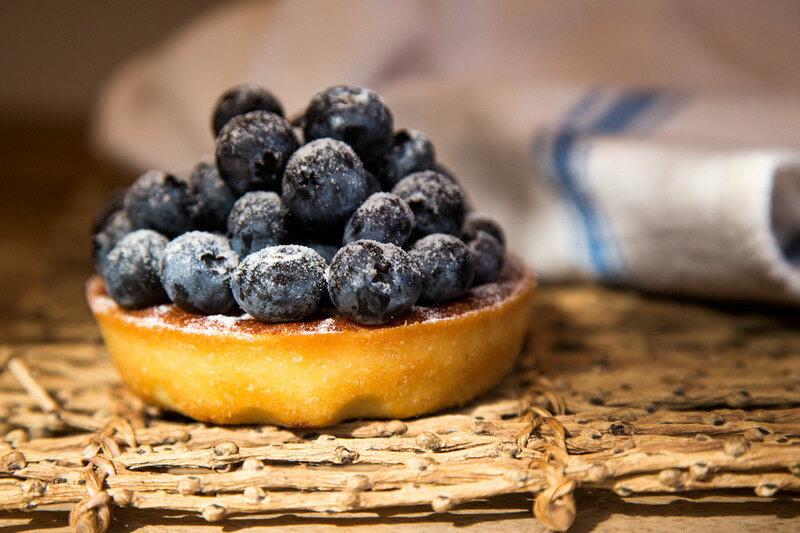 On St. Barth, there’s nothing wrong with indulging in a fresh fruit tart after lunch. Invited to dinner? Make your hosts happy with a flourless chocolate cake or a mixed box of pastries. 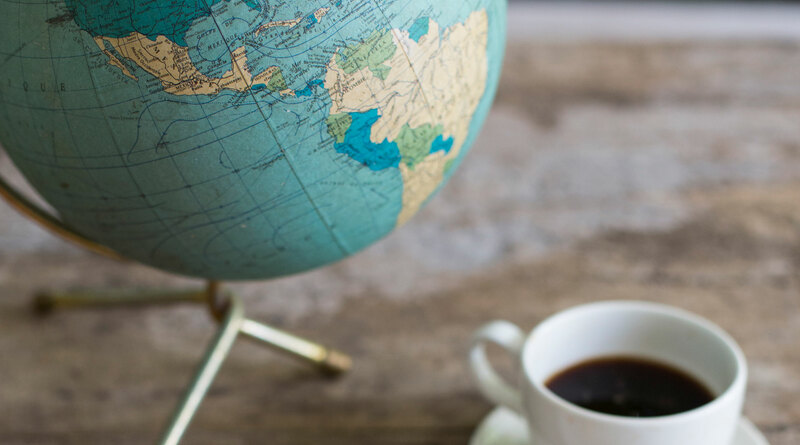 With the winning combination of fresh food, great coffee and a central location, Maya’s To Go is known as one of the island’s favorite daytime meeting places. Stop by any time of day and you’re likely to run into an island friend or acquaintance. Planning to connect with friends for a day at the beach? Make Maya’s the meeting point so you don’t forget to pack a snack, water or a fresh juice. The boutique also stocks a collection of gourmet grocery items such as pastas, sauces, granola and cookies, all personally selected by Maya. Whether you’re planning a wedding, a sit-down dinner or a pool party, the team at Maya’s To Go can make sure your catered event turns out just as you wish. Maya’s To Go caters every kind of St. Barth event imaginable, from sit-down seaside luncheons and the most elaborate weddings to corporate meetings and portable picnics. Sit down with us and we can help personalize the menu and service to fit your event perfectly. It isn’t just about the delicious food — Maya’s To Go provides the staff you need so you can relax and focus on the enjoyment of hosting your party. Take the pressure off having our chefs, barmen and waiters take care of the service. We have everything you need for hosting large events with no worries. Let us provide tables, chairs, linens, place settings, plates and glasses, so there’s no need to worry about what’s in your villa. We even provide tents, floor covering and outdoor grills, all delivered and removed right on time. Let Maya's pastry chefs apply their talent and imagination to the creation of the perfect wedding cake for your perfect day! Maya’s To Go can also provide custom-designed and decorated cakes for birthdays, anniversaries, or any moment you want to make even more special. 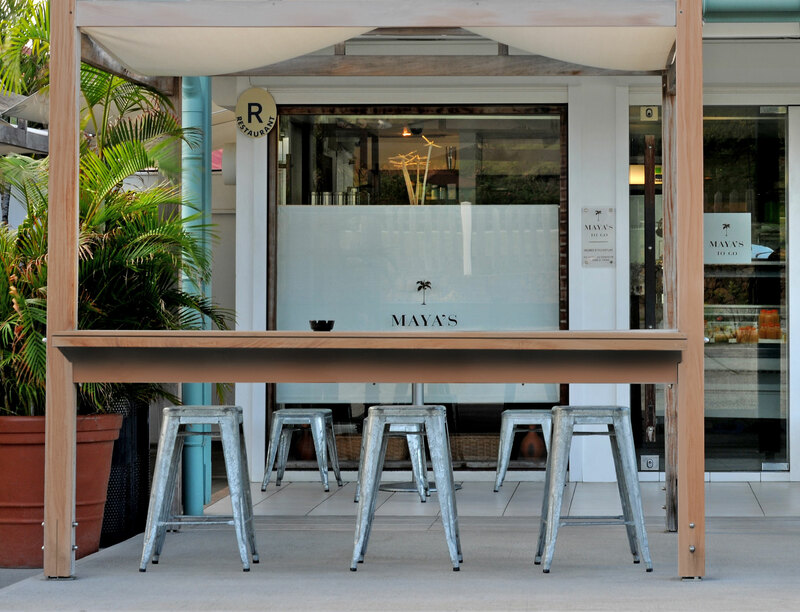 Maya’s To Go is nearly always on your way at some point in a St. Barth day, so drop in and say hi. You’ll always see a smiling face, and you’re sure to discover something delicious! Les Galeries du Commerce, St. Jean.